If You Are Not Measuring Your Digital Marketing Activities, Your Wrong Way! Why is digital marketing so popular? Why are the budgets devoted to TV and newspapers gone digital budget? There's only one reason. Digital activities You can measure. Every metric we can measure causes us to take the next step more accurately. But just like every business, some people who manage marketing channels do not know how important the measurement is, they think they are doing digital marketing. A digital marketer who uses Google Analytics to measure just how many people are entering on the site, please do not use that title anymore. Google Analytics is a very comprehensive and effective tool that gives you all the data you want to measure and imagine to measure. Obviously, if you're using Google Analytics, I can not see any big difference in using Adobe Analytics and its derivatives. But the issue depends on how you use GA.
You need to measure all the channels your web site users receive. The habits of each channel, purchasing tendencies, form filling times will vary. There is only one thing you need to do to measure the movement of all users. Using UTM. If you do not use UTM, you will not be able to measure movements. The UTM has 5 layers in total. You need to use these 5 layers in all your links. You need to see which banners are clicked in the mailingte users that you have performed, and which banners clickers lead to more sales. No digital marketing is done on guessing. You need to be able to see what content you've shared on Facebook, which one is clicked on, which set of ads to click on, and what content comes from saying "Oh, look at the number of visitors from Facebook this month." Their only way to use UTM. for example social media consulting If you click on the link when I give a backlink like this, you should see a UTM. Work does not finish using UTM. You'll also need to use the Google Optimize service, which was recently available for free. Digital marketing is an immense trial-and-error board. If you do not do A / B tests, you are not really optimizing your content. You can optimize your content by showing individual content according to users from each media. On the other hand, the only way you can measure which people or which context is more sensitive is to do A / B testing, not asking an expert who has given years of work. You will start to get sensible data when you start to view the UTM codes that you added to all the links in a few months to measure the effect of all your seeding activities. Especially from various forums, you will better observe how effective the hits coming from blogs are, and plan your next budgeting accordingly. If you do not measure in digital marketing, you are not doing digital marketing. 06 October 2013 Tags: google analytics google analytics campaign How to make an email follow up with google analytics? google analytics campaigns mail takedown Have you read my mail? "The mail did not reach it, I'm definitely interested"
"I can not even look at your heavy mail"
If you are exposed to such lies, there are two free solutions for you. 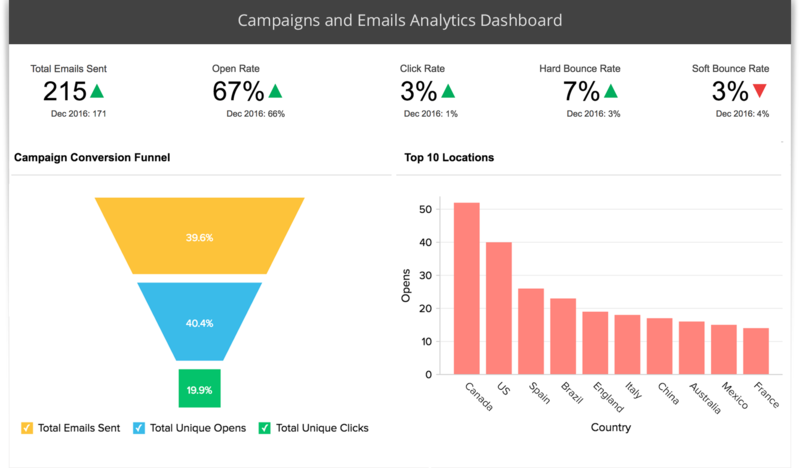 If you want more detailed data you can use MailChimp.